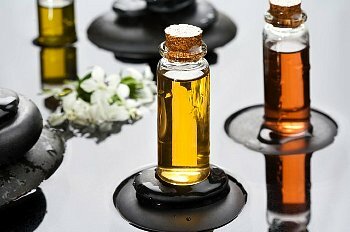 Aromatherapy is a widely used type of alternative medicine that utilizes an arrangement of essential oils to bring about positive results for our mind and body. While these essential oils are the primary ingredients in aromatherapy, they are not alone. Mud, clay, milk powder, sea salt, cold pressed vegetables and herbs are often used as well. The many natural products and essential oils used in aromatherapy affect our sense of smell directly, triggering different brain functions that are ultimately connected to many important bodily functions. There are many benefits to using aromatherapy, and below are four reasons you might want to consider using it yourself. Both peppermint and ginger are essential oils used commonly to help relieve feelings of nausea. Inhaling the aroma of either oil is said to help relieve an upset stomach. Peppermint has an additional benefit that helps you increase both alertness and concentration. Peppermint is also known for relieving symptoms of sinusitis and asthma. Ginger is a versatile essential oil that is also used to relieve sore muscles, arthritis and fatigue along with easing upset stomach. If you experience any anxiety and stress, aromatherapy is used to help relieve both. To calm down and relax your worrisome mind, try using some jasmine for relaxation. Rose, lavender and chamomile are great for calming. To bring on feelings of peace and contentment, try using some rosemary and lavender mixed together. When you are experiencing times of severe worry and stress, try using Vetiver, patchouli, geranium, bergamot, ylang ylang, Neroli or Cedarwood. If you have trouble sleeping but feel leery about using prescriptions and over-the-counter medications to help, aromatherapy is a great alternative to consider. Lavender and chamomile are often used in aromatherapy to help bring in a quality, deep sleep that finds you waking up feeling refreshed, rested and alert. Trying an aromatherapy with rosemary, peppermint or cinnamon will help to increase focus, energy, alertness and concentration. Using black pepper improves circulation in the body, which allows your brain to function better. If you suffer with bouts of depression, try using some sandalwood, lemon, Clary sage, grapefruit or rose oil. Most people experience headaches now and then. These can range from something minor to a bit annoying to severely debilitating. People who take a lot of medication for frequent headaches can eventually build up a tolerance to the medicine. This can make it less effective. Other people simply haven’t found a good remedy that works for them. For relief from these headaches, try the essential oil of peppermint. If PMS is causing headaches and migraines, chamomile might ease the symptoms including mood swings and irritability. Aromatherapy has been used for centuries to benefit emotional and mental well-being. Today, it is still used hand-in-hand with modern medication. Even though it’s not considered a cure-all, aromatherapy is a good complementary tool to use with other medical treatments to promote healing from within. This article was written by Zoe White, blogger for 21 Drops. Zoe is a southern California native who loves the beach, sports, and trying new foods.